Our 5:17 Autumn Day of Prayer was an intense few hours of prayer. Each speaker was allowed just 5 minutes to present followed by 17 minutes of prayer. As we prayed in groups of 3 or 4 or as one large group there was buzz of intercession for God’s work among the people of South Asia. We certainly fulfilled our aim of spending more time in prayer than listening to information. We had a good balance between speakers and subjects, with enough information (but not too much) to prompt our prayers. We were blessed to have a brother visiting from Nepal who shared about his country and we also prayed for SAC’s partners Paul and Su East based in North India. It was exciting to hear that the first students to graduate from the Ezra Training Course were doing so on that very day and we were each given information about one of them to pray for as they continue their ministry in India. More information was provided on the prayer stations for the countries of South Asia, where prayer needs were clearly set out. The day ended with a challenging Biblical focus from Andrew Smith, based upon Psalm 137:4 – “How can we sing the songs of the Lord while in a foreign land?” As our venue at St John’s House was in a part of Birmingham with a population mainly from South Asia, we were surrounded by strangers and foreigners. 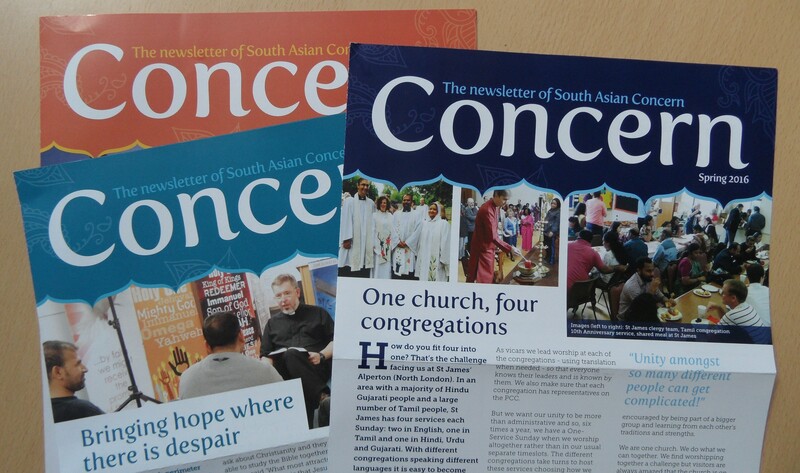 Along with a testimony from a local South Asian and prayers for the work of St John’s House this certainly added an edge to our engagement in God’s purposes for these people. Thank you to all who attended and most of us made new friends, especially as we shared a curry lunch. It was encouraging to welcome some from an Asian background and also a few younger people. One of our aims is to engage more prayer support for reaching the 1.6 billion South Asians across the world who do not yet follow Jesus Christ. We are planning the next prayer day to be in the spring in London. We would love everyone who is already involved to bring someone who has never shared the 5:17 prayer experience. This is an inspiring opportunity to be among friends, and in God’s presence, as we prayerfully seek the coming of his kingdom.